This week’s recipe is a contribution from the creative Jean Choi. I’ve only recently learned about sheet pan meals. I saw them floating around Pinterest, and was instantly hooked on this genius idea. While I love to cook, I absolutely despise washing the dishes, so I was completely on board with cooking everything in one pan and was determined to give it a try. 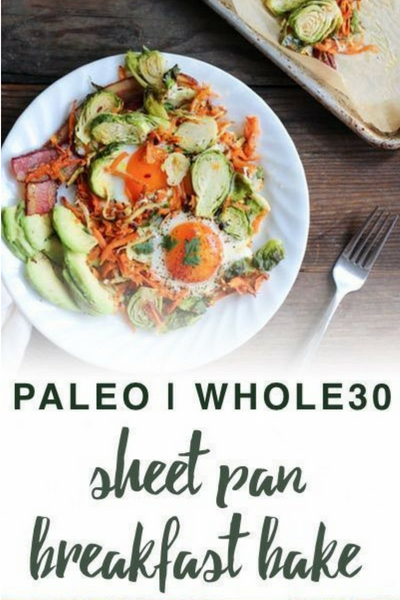 One of the first sheet pan meals I made was a version of this Paleo Sheet Pan Breakfast Bake. It came together effortlessly, tasted amazing, and the presentation was just gorgeous. Since then, I’ve tested out various ingredients and cook time, and this final recipe contains my favorite combination of flavors and textures that I keep going back to, especially on lazy weekends! Sweet Potatoes – I love how shredded sweet potatoes make a delicious hash brown base for this meal. I don’t bother to peel them, since I buy them organic most of the time and the skin is packed with nutrients. If you aren’t a sweet potato fan like me, you can substitute with regular potatoes. 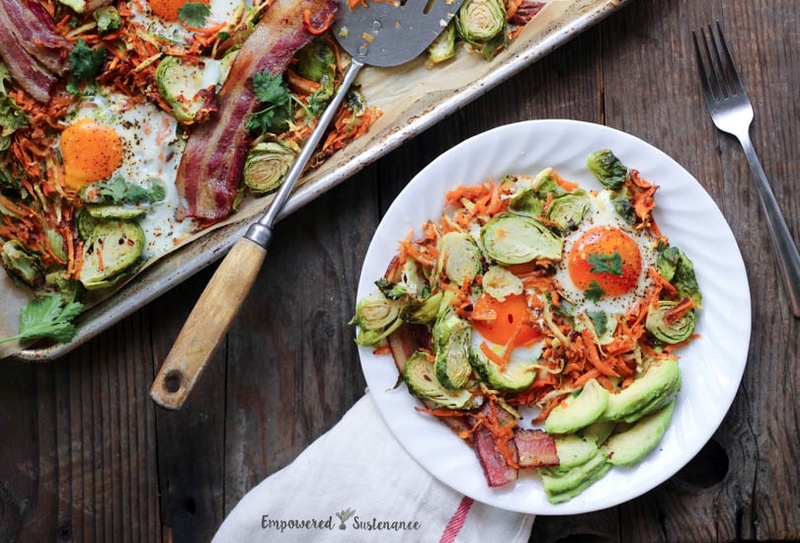 Brussels Sprouts – One of my favorite Fall vegetables, brussels sprouts give a crunchy and smoky flavor to the recipe that complements so well with eggs and bacon. Bacon – I highly recommend nitrate-free, pasture-raised bacon. Thick-cut works best in this recipe so it can hold up to the high heat baking time. Eggs – If you don’t tolerate eggs well, feel free to take them out and/or add extra bacon. You’ll still have a delicious meal without them. Grease a 18"x13" baking sheet or line it with parchment paper. 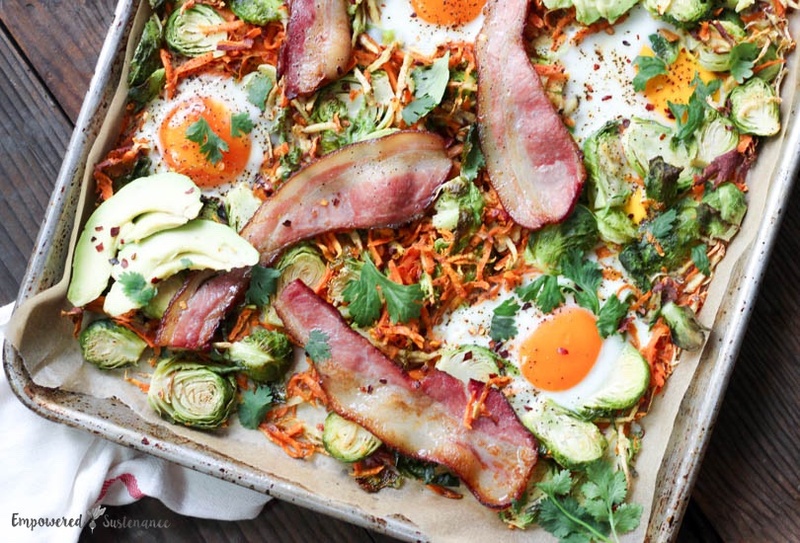 Place shredded sweet potatoes and brussels sprouts in a single layer on the baking sheet. Toss with coconut oil, garlic powder, sea salt, and ground black pepper. Place bacon slices over the vegetable mixture, spreading them out evenly. Bake for 20-25 minutes until the vegetables are cooked through and the bacon is crispy. Remove from the oven and create 6 wells. Gently crack the eggs in the wells, being careful not to crack the yolk. Season the eggs with more salt and pepper, to taste. Bake in the oven for an additional 10-15 minutes until the egg whites are set. Enjoy immediately. If desired, garnish with optional toppings before serving. Hi Rachel! I also really struggle with low energy because of Hashimoto’s. I’ve found that IF (intermittent fasting) has been really good for me. 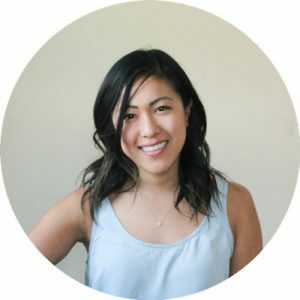 I eat lunch and dinner and no breakfast, my eating window is from noon-8 pm (and I try to cut it off at 7), and I’ve found that living a keto lifestyle and intermittent fasting has made a huge difference. Also, keep it up with gluten, dairy, and sugar – they were pivotol to cut out for me. And if you have alcohol daily, I would cut that out too. What would you suggest to increase energy? I’ve been avoiding gluten, dairy, and sugar/refined foods for about a month now, but still feel like I need coffee or a nap in the afternoon most every day to get a second wind. Lauren, what would you suggest to boost energy in addition to not eating dairy, gluten, or refined foods? Even though I’ve been following that diet for nearly a month, my energy often feels pretty low in the afternoon. Looks amazing! Even though I’m not on Paleo diet, definitely going to try this as soon as possible. Thanks for sharing Jean!